SISBL website (www.shriraminsight.com) contains features of services that we offer / propose to offer in due course. We intend to launch certain services conforming to the given features. However, the final launch may contain variations due to business and regulatory requirements. The launch of such services is subject to the clearance of the regulators, viz: the Securities and Exchange Board of India (SEBI), the National Stock Exchange of India Ltd. (NSE) and the Stock Exchange, Mumbai (BSE). www.shriraminsight.com has exclusive discretion to decide the customers who would be entitled to its online investing services. 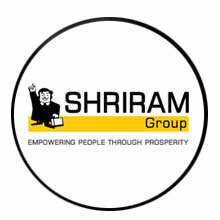 www.shriraminsight.com reserves the right to decide on the criteria based on which customers would be chosen to participate in these services. SISBL reserves its exclusive right in its sole discretion to alter, limit or discontinue the Website or any Materials in any respect. SISBL shall have no obligation to take the needs of any user into consideration in connection therewith. All material on this Site ("Material"), including but not limited to text, images, illustrations, audio clips, and video clips, is protected by copyrights which are owned and controlled by SISBL or by other parties that have licensed their material to us. Material from the Site or any web site owned, operated, licensed or controlled by SISBL may not be copied, reproduced, republished, uploaded, posted, transmitted, or distributed in any way. Modification of the Material or use of the Material for any other purpose is a violation of the copyrights and other proprietary rights. For purposes of these Terms and Conditions, the use of any Material on any other web site or networked computer environment is prohibited. The trademarks, logos and service marks ("Marks") displayed on the Site are SISBL property and the property of other parties. Users are prohibited from using any Marks without SISBL written permission or third parties which may own the Marks. Give his false identity. Defame, abuse, harass, stalk, threaten or otherwise violate the legal rights (such as rights of privacy and publicity) of others. Delete any author attributions, legal notices or proprietary designations or labels in any file that is uploaded. Falsify the origin or source of software or other material contained in a file that is uploaded. RESTRICTIONS ON ACCESS TO WEB SITE AND TRADING: The CLIENT understands that the SISBL may at any time, at its sole discretion and without prior notice to the CLIENT, prohibit or restrict the CLIENT's access to the use of the website or related services and the CLIENT's ability to trade. SISBL may terminate the CLIENT's account at any time for any reason and without prior notice to the CLIENT. The CLIENT will bear any loss that he/she/it may be faced with due to inability to execute further trades on account of such restriction. The closing of an account will not affect the rights and/or obligations of either SISBL or the CLIENT incurred prior to the date the account is closed.